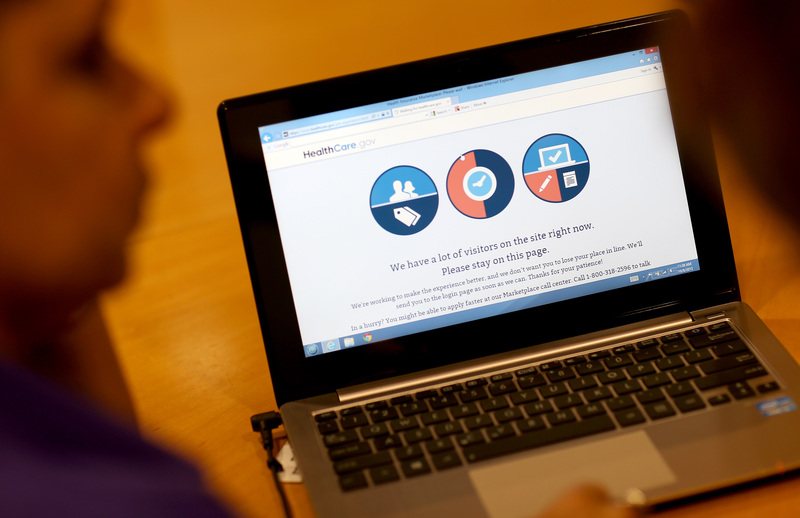 President Obama's Affordable Care Act, having just battled its way into becoming law, is already dealing with an onslaught of criticism related to its malfunctioning website. Three weeks in, and the Health and Human Services Secretary, Kathleen Sebelius, has already been called to testify before a congressional committee about the recent internet problems, with House investigators demanding to know whether officials involved in the website “didn’t know" or just "didn’t disclose” the issues. House Republicans (who have, in between shutting down the federal government, been warning for months now that the Affordable Care Act would be a “train wreck”) are calling for hearings to be held over the computer system's issues as soon as this coming week. But Sebelius, along with the rest of the Obama administration, has declined to testify. “As the news continues to get worse, it’s time for Secretary Sebelius to provide answers to Congress,” the House Energy and Commerce Committee said Friday. To say that the first three weeks of sign-ups have gone less than smoothly would be an understatement. Both Obamacare critics and the media have jumped on the slew of glitches (including frozen webpages and problems relating to security questions) that have prevented people from actually enrolling in the health care plans. But on Sunday, officials — who've so far been reluctant to say how many people have actually enrolled in the insurance markets — revealed that already roughly 476,000 applications have been filed through federal and state exchanges, the first most complete picture of the program's implementation to date. "There's no question the marketplace website needs some improvement," said Sen. Max Baucus, D-Mont. "The administration needs to fix the computer bugs and I'm confident that they're working around the clock to fix the problems." The full number of people who have actually gone through the application process and signed up for a plan will be released by the administration next month — without those figures, it's hard to tell whether the program is on its way to reaching the 7 million people it hopes it will have by the end of March. "I think that there's no one more frustrated than the president at the difficulty in the website," Treasury Secretary Jack Lew said Sunday. "The huge outpouring of interest shows how important it is that we get this right. There are millions of Americans who want health insurance. It's important for our economy for them to have health insurance." According to Lew, the real test will be in January, when officials will learn "how many people are enrolled and what the quality of service that they're getting. If we get that right, people will forget that the early weeks were choppy on the website." The administration has in fact been working full-time on fixing the Internet issues that have been holding up the health care site and people are being increasingly encouraged to sign up over the phone — staffing at call centers has already been augmented by about 50 percent. Meanwhile, certain Republicans seem to never tire of trying to obliterate the Affordable Care Act. “I would do anything and I will continue to do anything I can to stop the train wreck that is Obamacare. What I will do is continue standing the American people, because it isn’t working, it’s costing people jobs, and it’s taking away their health care,” Sen. Ted Cruz (R-TX) said Sunday. So far, roughly 17 million have visited the site since it opened on October 1.